queen, soldier and worker described (see Bolton, 1995). 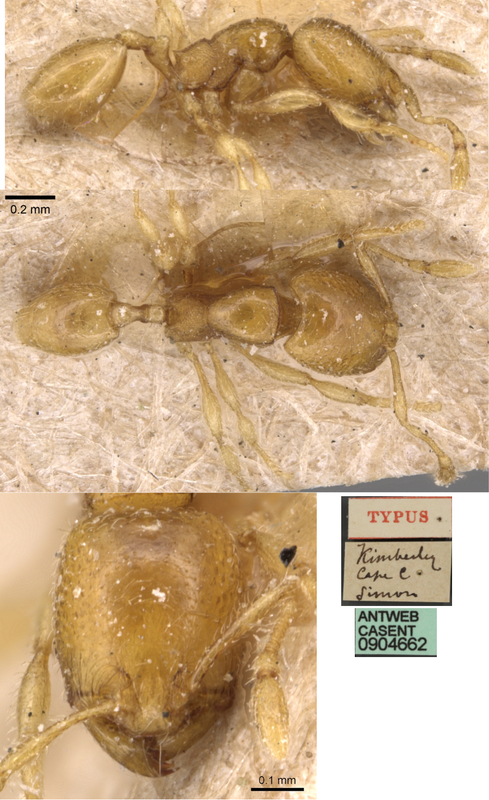 NOTE the specimens described as Oligomyrmex arnoldi by Forel (1913a: 123) were combined in Carebara, as C. arnoldi, by Santschi (1914d: 363) . Emery's (1895h) description is at . 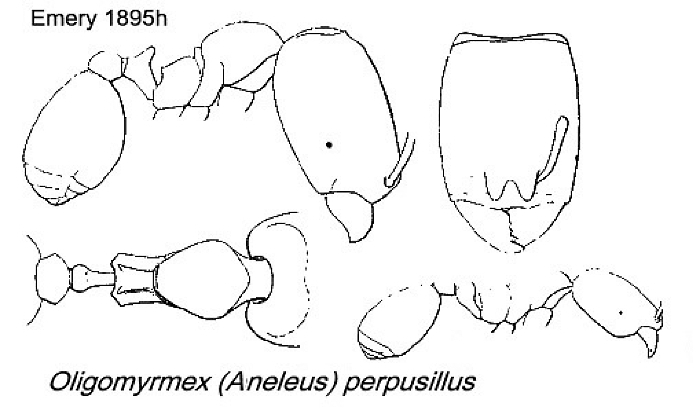 Forel's (1907a) description of spinosus is at . 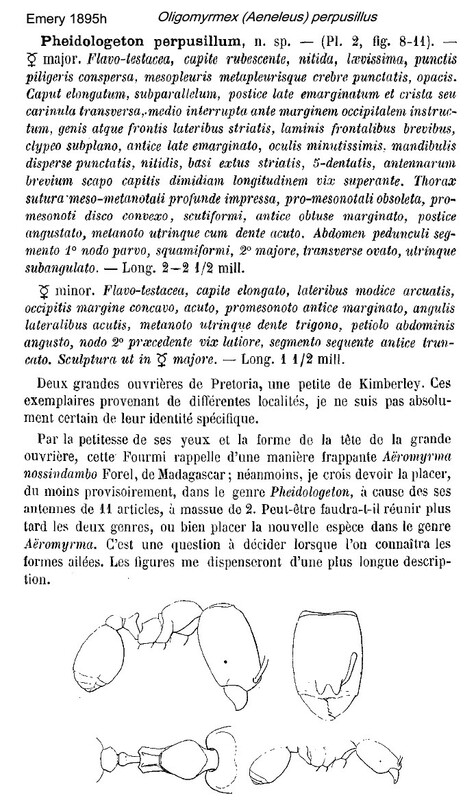 Santschi's (1914b) description of condecens is at . 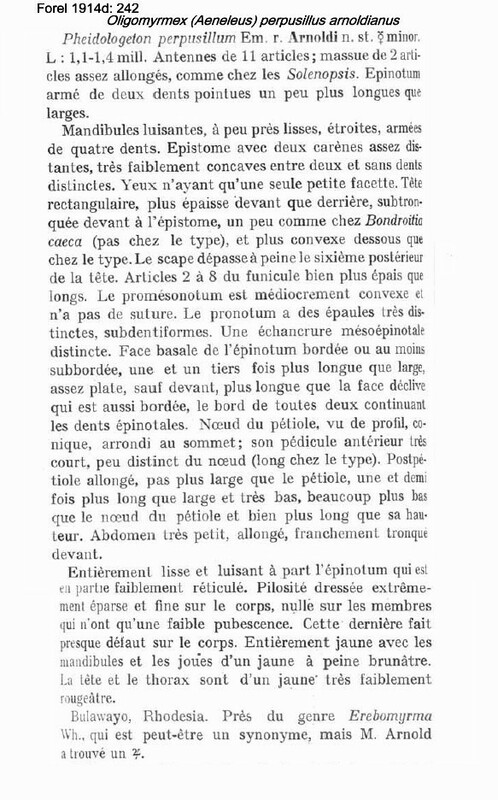 Forel's (1914d) description of arnoldianus is at . Arnold (1916: 254) gave a translation and description of the "arnoldi" soldier, this is at . 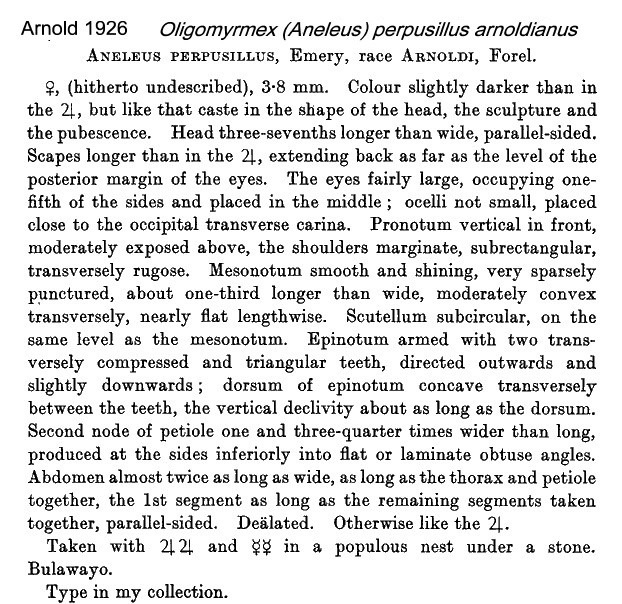 Arnold (1926: 238) described the "arnoldi" queen, this is at . The photomontage is of a minor worker from Usambara Mts, Tanzania; Zigi Lodge, Amani NR; collector Vasily Grebennikov. 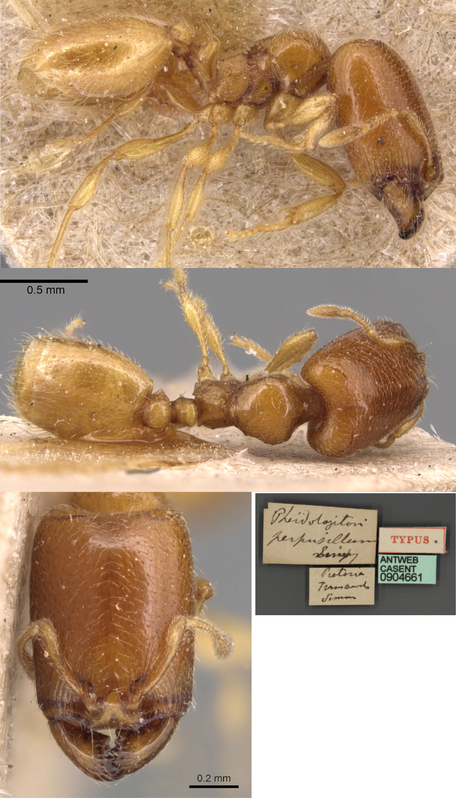 This appears to match the description given for spinosus, which is from the same geographical area. Clearly it is similar to the type form minor but differs, such as in the head shape. Similarly, it appears near identical to the minor of condecens (see link above).